Alaska (AK) No state sales tax applicable. Delaware (DE) No state sales tax applicable. Florida (FL) FL resale certificate example - Send a copy of your FL resale certificate issued by the state taxing authority. 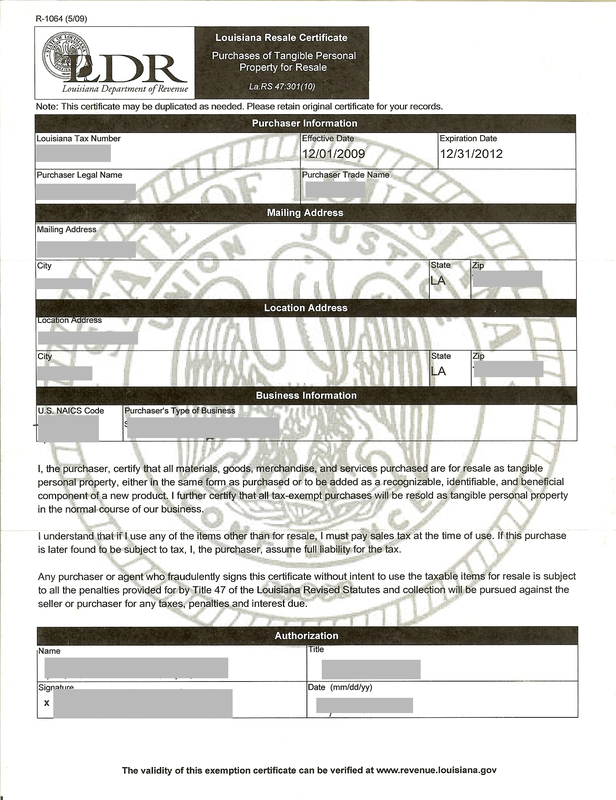 Louisiana (LA) LA resale certificate example - Send a copy of your LA resale certificate issued by the state taxing authority. 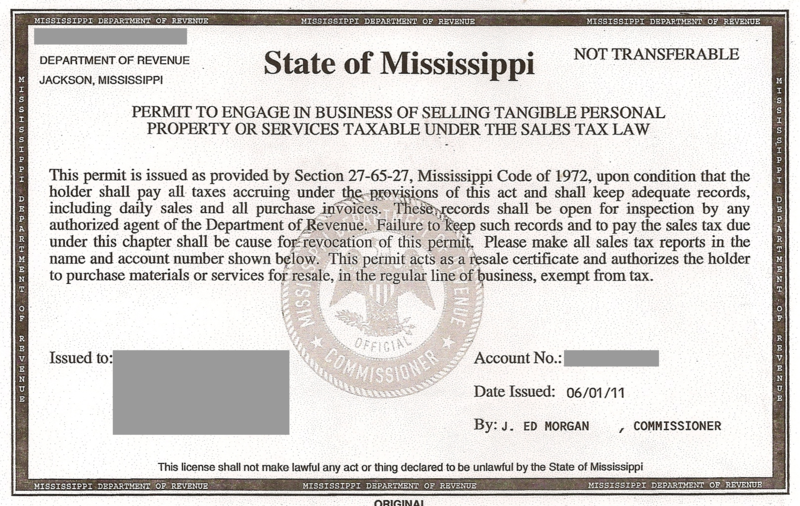 Mississippi (MS) MS retail sales tax permit example - Send a copy of your MS retail sales tax permit issued by the state taxing authority. Montana (MT) No state sales tax applicable. New Hampshire (NH) No state sales tax applicable. Oregon (OR) No state sales tax applicable. Puerto Rico (PR) Send a copy of your PR exemption certificate issued by the state taxing authority.